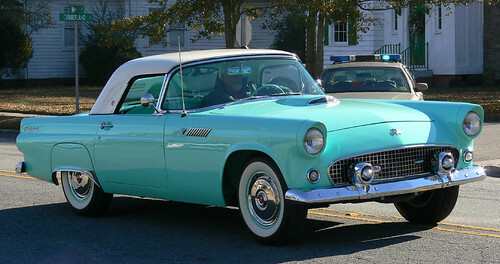 Carolina Blue T-bird, originally uploaded by Watts4. Yar, that's a cool site! agcpirateb, originally uploaded by watts4u2. 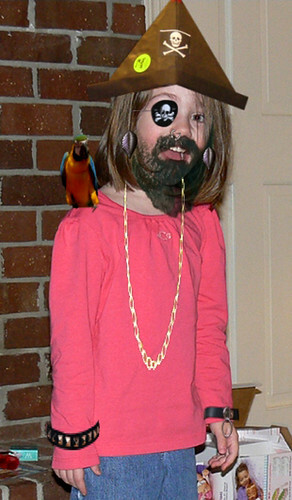 Make your own get-ups at www.pikipimp.com, it's good fun for the kiddies! "We must adjust our commitments to reflect our capabilities and, beyond that, to defend only what is truly vital to the national security. While our armed forces are more than adequate to defend us, they are insufficient to defend an empire. Rather than bleed and bankrupt the nation endlessly, we should let go of the empire. Americans must learn how to mind our own business and cease to meddle in other nation's quarrels. Iraq was never a threat to the United States. Only our mindless intervention has made it so. " Evidence he would have been a better President than "the CoWboy"
I Am Time's Person of the Year! Last year Bono shared the Time Person of the Year with Bill and Melinda Gates. 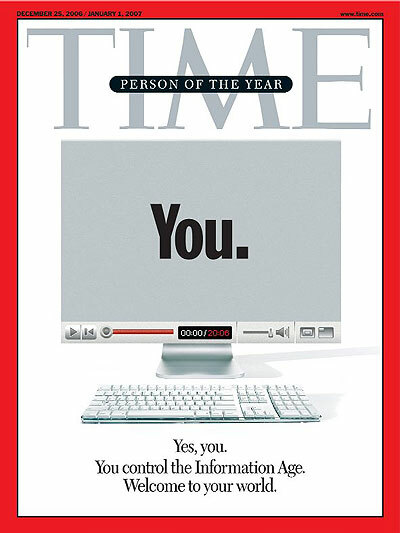 This year, I was awarded the Time Person of the Year. I will have to share the award, just like Bono did. But unlike Bono, who only shared the award with a married couple, I choose to share the award with you. The song? Reminds me of this one , almost a parody, but the video really helps the song. W. Bush is not the first president to abuse the constitution when it comes to fighting undeclared wars. But, he is the most blatant, and he has no Cold War to blame. We invade and occupy a country halfway around the world, without consent from the UN or even most of our longtime allies, based on allegations that pretty much all turned out to be false. This is the problem with having one 'decider in chief'. I do not think we would have invaded Iraq had the Congress actually had to vote to Declare War, the way our founders intended. "...the notion that presidents should establish our broader foreign policy is dangerous and wrong. No single individual should be entrusted with the awesome responsibility of deciding when to send our troops abroad, how to employ them once abroad, and when to bring them home. This is why the founders wanted Congress, the body most directly accountable to the public, to make critical decisions about war and peace. It is shameful that Congress ceded so much of its proper authority over foreign policy to successive presidents during the 20th century, especially when it failed to declare war in Korea, Vietnam, Kosovo, and Iraq. It’s puzzling that Congress is so willing to give away one of its most important powers, when most members from both parties work incessantly to expand the role of Congress in domestic matters. By transferring its role in foreign policy to the President, Congress not only violates the Constitution, but also disenfranchises the American electorate. " So, turns out Rumsfeld was not fired because he was doing a poor job... it was his memo that suggested change. Looks like Rumsfeld has moved to the Bush I/Scowcroft/Baker side? "Indeed, Bush's cavalier dismissal of the key Baker-Hamilton recommendations creates a possible framework for a bipartisan impeachment effort. A less confrontational approach could be Republican and Democratic pressure on Bush and Cheney to agree to sequential resignations, replacing Cheney first with a new Vice President who would then assume the presidency upon Bush's resignation." "I have a suggestion. Let’s import Israel’s Jews. Let’s offer them all passage to America and a fast track to citizenship. The United States has absorbed an estimated twelve to twenty million illegal Mexican, Caribbean, and South American aliens with hardly a whimper. Why not six million of the most talented people in the world, one of the highest concentrations of brainpower to be found anywhere? Yes, this means abandoning Israel to the Arabs, but Israel is so small the entire landmass could sink into Lake Michigan and never been seen again. In one stroke, America would have defused the so-called “reason” that the Middle East is in such turmoil. " "Nice photos! And let me compliment you on your blog's link to my Human Events commentary about the Israelis, but don't you think North Carolina would be an ideal place to stick those 6 million folks? It would be a real estate boom! Throw in a couple of synagogues and you have the makings of a couple of towns. But we both know they won't leave. I worry about them. Happy Holidays!" "There are experts to tell you why the Bible is literally true, others to advise you how to analyze it as history, and still others to help you read it as literature. You can learn how to approach it as a Jew, a Catholic, an evangelical Protestant, a feminist, a lawyer, a teenager.So, what can I possibly do? My goal is pretty simple. I want to find out what happens when an ignorant person actually reads the book on which his religion is based. I think I'm in the same position as many other lazy but faithful people (Christians, Jews, Moslems, Hindus). I love Judaism; I love (most of) the lessons it has taught me about how to live in the world; and yet I realized I am fundamentally ignorant about its foundation, its essential document. So, what will happen if I approach my Bible empty, unmediated by teachers or rabbis or parents? What will delight and horrify me? How will the Bible relate to the religion I practice, and the lessons I thought I learned in synagogue and Hebrew School?" I've been enthralled with his posts...it's so unlike Sunday School or Bible Study, to see the Bible fresh through the eyes of a "real person" has been quite enlightening for me. Call me modern and lazy, but it's a lot easier than trying to read (and understand) the actual Bible. I highly recommend reading at least one of these articles, if you try it you may find yourself reading them all!